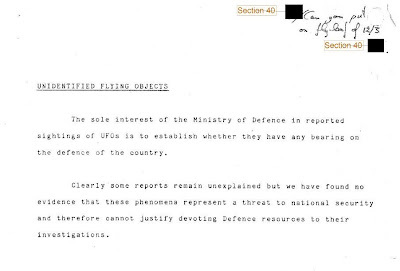 I recently downloaded the latest batch of UFO files to be released by the Ministry of Defence (MoD), here in the UK. 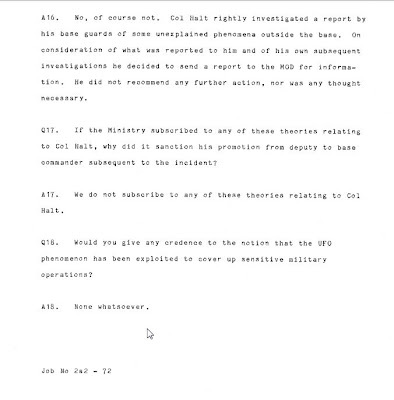 In the files for 1986, I came across a document entitled UFO Interview. It offers no explanation, as far as I can see, as to who either the interviewer or interviewee may have been. 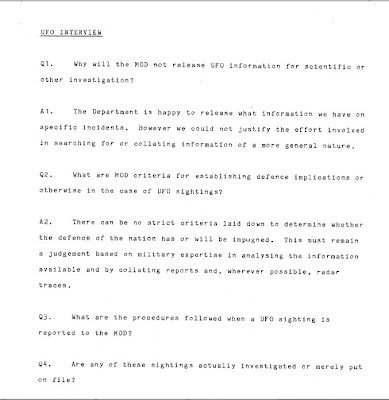 The interview itself is prefaced with the now infamous MoD assertion that there is no evidence to suggest that UFOs pose a threat to national security. I have taken screen shots of both the preface, and the actual interview itself, and posted them below. In the absence of any explanation about who the participants are, I suspect that this so-called interview is nothing but a public relations exercise. It reads a little like the FAQ sections that appear on some websites. It all feels a little stage-managed to me. What do you think? Do you know who the participants were? Click the images to enlarge them to a readable size. Quite an intriguing document you git there. What does it really means? 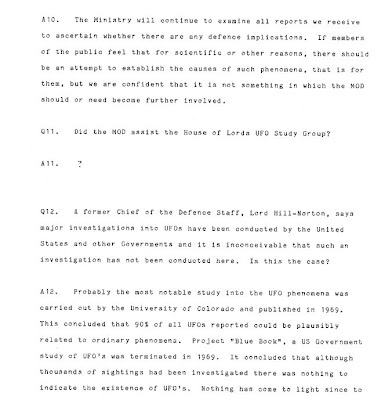 I also downloaded files but I managed to get the ones that "admit" their involvement with "America", talk of meetings with the American Navy, etc and that states (verbatim) "UFO's EXIST and further I have a copy of the file regarding the reverse engineering where they state "the saucer shape utilizes the magnetic fields" and that they were "successful at the last test". Dated pre 1960. 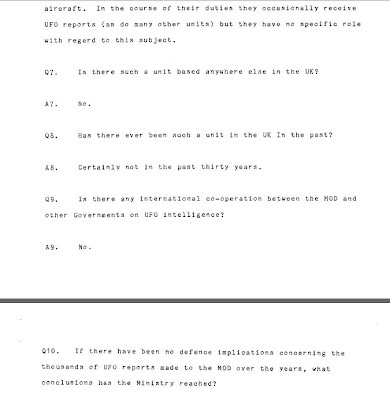 They also state "we will adopt the Americans decision to not publicize UFO's" and to utilize "disinformation". 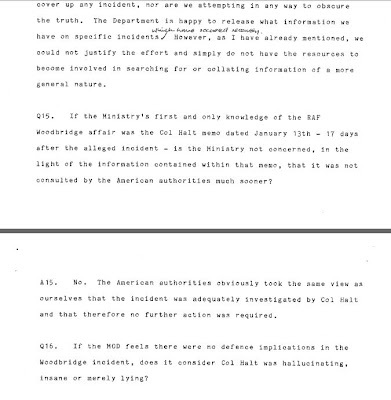 They also state "The American's have moved the project under the Military Classified Secrets for Warfare" and that "UFO's are highly top secret; more so than the H Bomb". 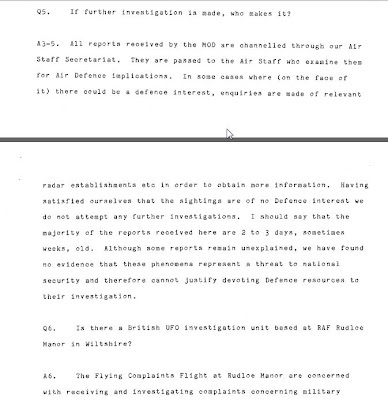 Also, I have a Navy document that talks of communications with an Extraterrestrial named AFFA. 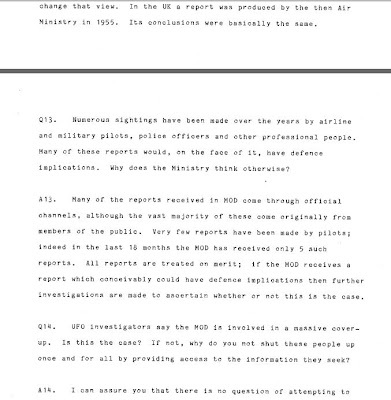 What you have is a Q & A between officials and possibly media or someone. It's a "minutes" document of a meeting of some sort. I found several of those.